Postal and express delivery firms processed 416 million orders on Sunday, up 25.68 percent and set a new historical record. More than 3 million postal staff members will guarantee smooth delivery of these orders, with 20 percent more transfer centers and vehicles equipped for this special occasion. 110 all-cargo carriers and 400 high-speed rail routes for express orders will meet huge delivery demand, the bureau said. More than 90 percent delivery orders in China are electronic now, with automated sorting, unmanned warehouse, and intelligent sorting robot mass applied. The number of technical staff members of the delivery industry has grown to nearly 10,000, with R&D expenditures of certain enterprises accounting for more than 5 percent of total income, which enables technical upgrade and orders prediction of the industry. 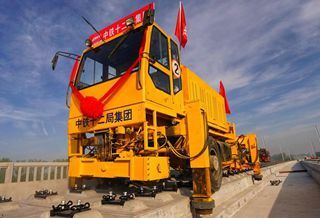 According to the bureau, 47,000 terminal service centers for express delivery and 300,000 smart express boxes will effectively relieve the terminal delivery pressure; however, delivery pressures in western regions and rural areas are still to be solved. At the same time, industry enterprises have worked together with customs to increase customs clearance efficiency, with certain bonded areas able to realize clearance in seconds. Overseas charters, cross-border direct mail and foreign warehouses have all boosted delivery capacity in key overseas operating areas. For example, more than 2,000 delivery boxes have covered 390 cities in Russia, largely increasing performance efficiency abroad.